Our first port of call after three days sailing the ocean blue onboard Fred. Olsen Cruise Lines Balmoral was Cádiz, Spain. 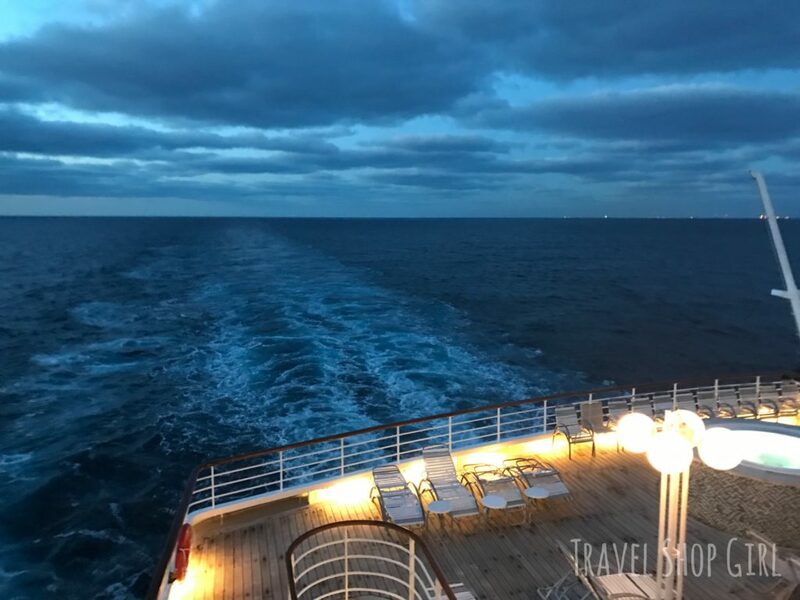 As you can see in the itinerary map above, our Mysterious Morocco and Seductive Spain cruise was an adventure to destinations I had never been to before, but for Malága, Spain. I felt like a true explorer as I ticked off new destinations and added them to my list. When I looked outside that morning, I noticed that we weren’t the only cruise ship in port. Tui Mein Schiff 1 and Hapag Lloyd Europa were in port nearby. Where is Cádiz? Cádiz is located on a peninsula almost completely surrounded by water in southwestern Spain in the Andalusia region. Considered one of the oldest cities in Europe and the oldest continuously inhabited cities in Spain, Cádiz sits in the Bay of Cádiz in the Atlantic Ocean. After disembarking the ship, I could felt the warm sun hit my face and I was already in love with Cádiz. While taxis were available to take passengers into town, we decided to do the easy ten minute walk into town and discover Cádiz on our own. Cádiz History: Cádiz was named Gadir by the Phoenicians who founded it in 1100 BC and was later home to the Carthaginians and later the Romans, the Visigoths, and the Moors and later was where Spain’s first Constitution was declared in 1812. TSG Tip: Did you know Christopher Columbus sailed from Cádiz on his second (1493) and fourth (1502) voyages and that Cádiz later became the home port of the Spanish treasure fleet? 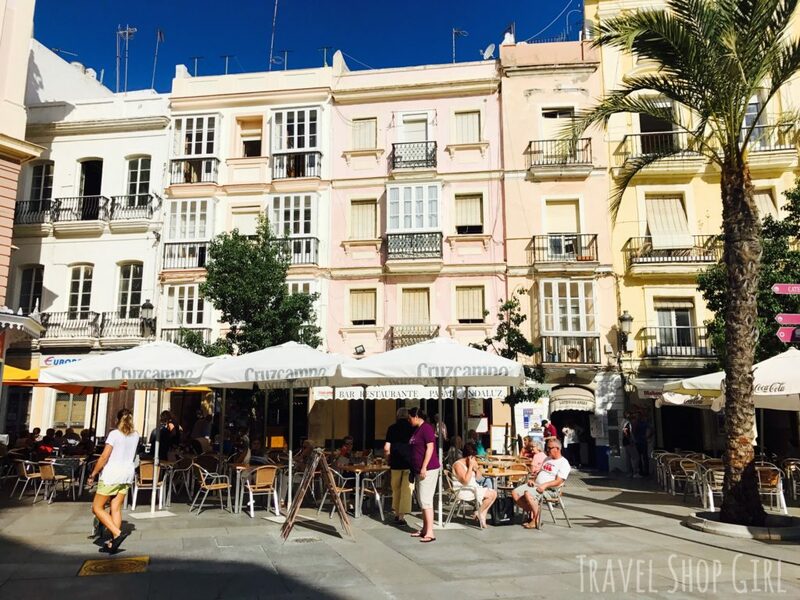 While you might expect to see quaint Spanish plazas, narrow streets, restaurants, and shops, even if you visit without a plan, you won’t be bored as there’s more than enough fun things to see and do in Cádiz. Cádiz is just over 5 sq. miles in size and perfect for the those wanting to get out and walk and explore on their own. Walking through Cádiz, it felt familiar but that’s probably having been to Spain before since it has the small side streets and plazas typically found in this region. TSG Tip: Did you know that of the many twin towns or sister cities Cádiz has around the world, one of them is San Juan, Puerto Rico? See the similarities? There’s always new things to explore and discover and here are a few places I discovered while in Cádiz. 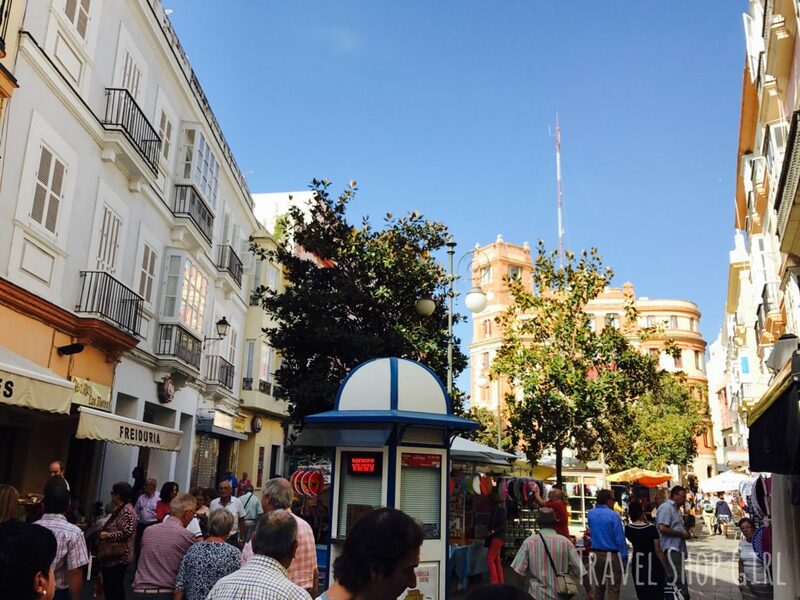 Plaza de San Juan de Dios: If you walk into Cádiz like we did, this is probably one of the first plazas you’ll encounter. You won’t be able to miss the Ayuntamiento (Old Town Hall) as it sits front and center in the plaza. TSG Tip: Did you know that the Old Town Hall was constructed in two stages? First in 1799 and then in 1861. And you think the work in your kitchen is taking forever. The plaza dates back to the 15th century and was increased in size after the removal of the city walls in 1906. This is the kind of plaza where you sit, relax, and enjoy a drink like we did before returning to the ship. More on that later. Plaza de Catedral: One of the most striking pieces of architecture in Cádiz is the Catedral de Cádiz (Cádiz Cathedral) located within the Plaza de Catedral. Anyone who reads this blog on a regular basis knows I have a strange obsession with churches, cathedrals, mosques, synagogues, etc. even though I may not be a regular visitor to any one of them. This impressive cathedral was built between 1722 and 1838 in a largely baroque style with rococo elements. It took a long time to complete because the first architect, who also built the Granada Cathedral, left and then several other architects came and went. For 5€ you can go inside and examine the vaults of the high altar as well as the many paintings and relics from cathedrals and monasteries that were brought in from around Spain. Had I known there was a crypt inside containing Cádiz born composer Manuel de Falla and playwright José María Pemán, I so would have gone inside with my digital voice recorder. TSG Tip: Did you know that the Catedral de Cádiz is also known as “The Cathedral of the Americas” as it was built with money from trade between Spain and America? This is one of the beautiful plazas found in the city of Cádiz. Plaza de Mina was developed during the first half of the 19th century and is situated on the former garden of the San Francisco convent. Museum of Cádiz is located here with Cádiz historical objects dating back 3,000 years and works by various artists including Peter Paul Rubens and Francisco de Zurbarán. Plaza de San Antonio was once called Campo de la Jara and it was here that the Constitution of 1812 was proclaimed. This is also where you’ll find Iglesia de San Antonio de Padua (The Church of San Antonio), which was constructed in 1656 on the site of a well that supplied water to the city of Cádiz. 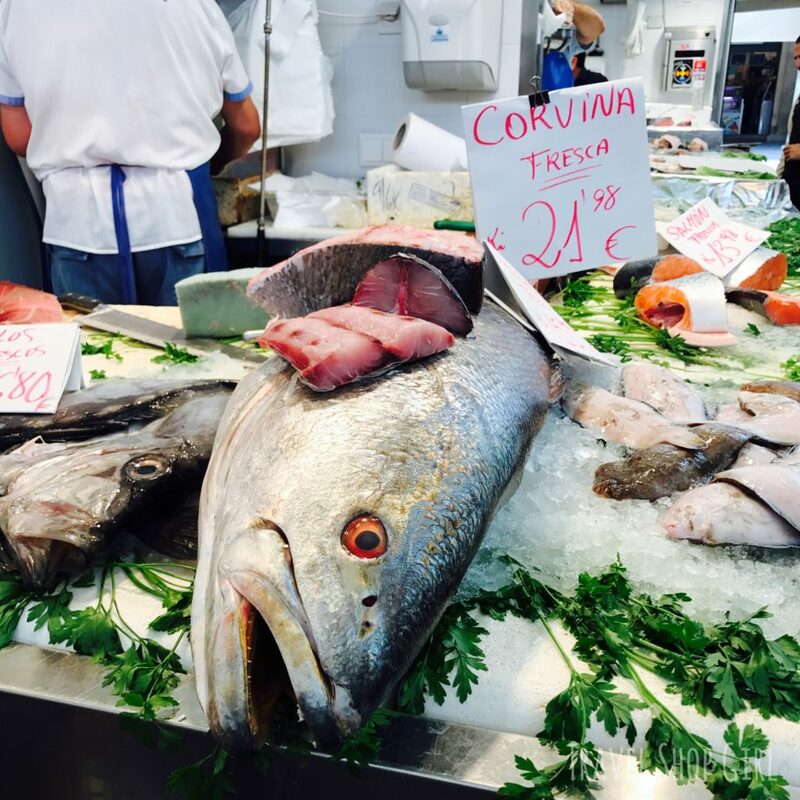 If you get a chance to visit Cádiz, I beg you to visit Mercado Central de Abastos de Cádiz (Cádiz Central Market). 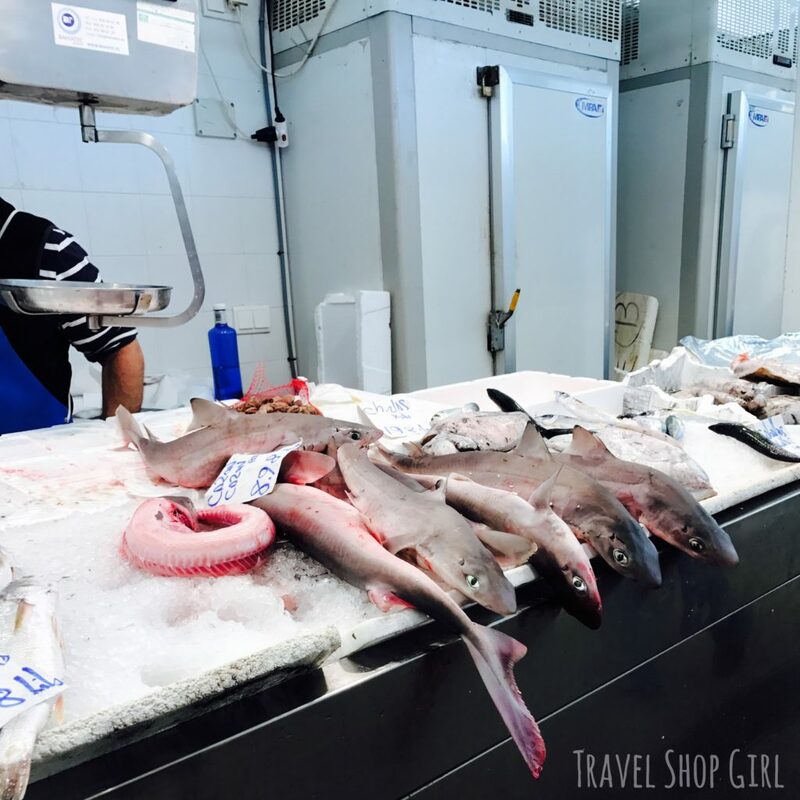 The fish market was my favorite stop in Cádiz even though and strangely enough, I don’t eat seafood. 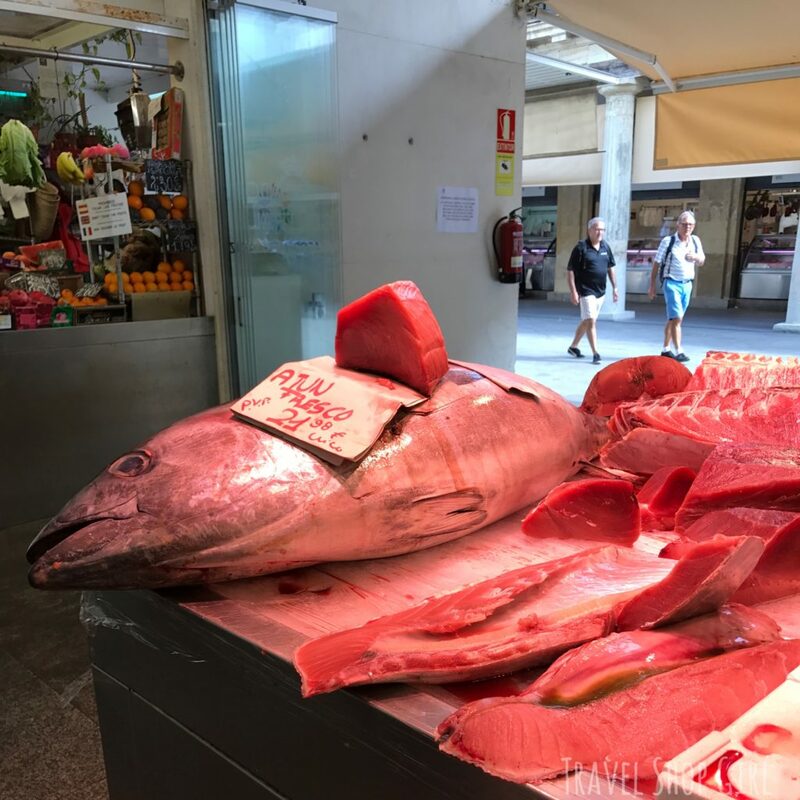 While there’s other markets within the Central Market, I decided to quickly explore the market and ogle at the various fish inside. Danielle and I walked up to the market and I thought she said she didn’t want to go inside. I ended up running off and I, of course, started taking pictures and talking to myself about the odd looking fish and their friends. Little did I know that she was right behind me and probably laughing at me in between staring at the fish, too. While there were plenty of locals purchasing food for the day, there were just as many tourists looking over and pointing at the fresh fish and seafood. What exactly did they have? One of the first stalls I came across had what appeared to be sushi grade fish beautifully laid out as if waiting for me to take pictures. Little did I know that I would soon see fish bigger than my head in all forms in basically a circus seafood sideshow extravaganza. TSG Tip: Did you know that the market was inaugurated in 1838 and was closed for three years in 2009 for remodeling? Today it’s a modern city market that’s brightly lit, clean, and well organized. Lower price because you get to clean them yourself. Fun! Dogfish? Landshark? Hey I thought that was only the name of a beer. 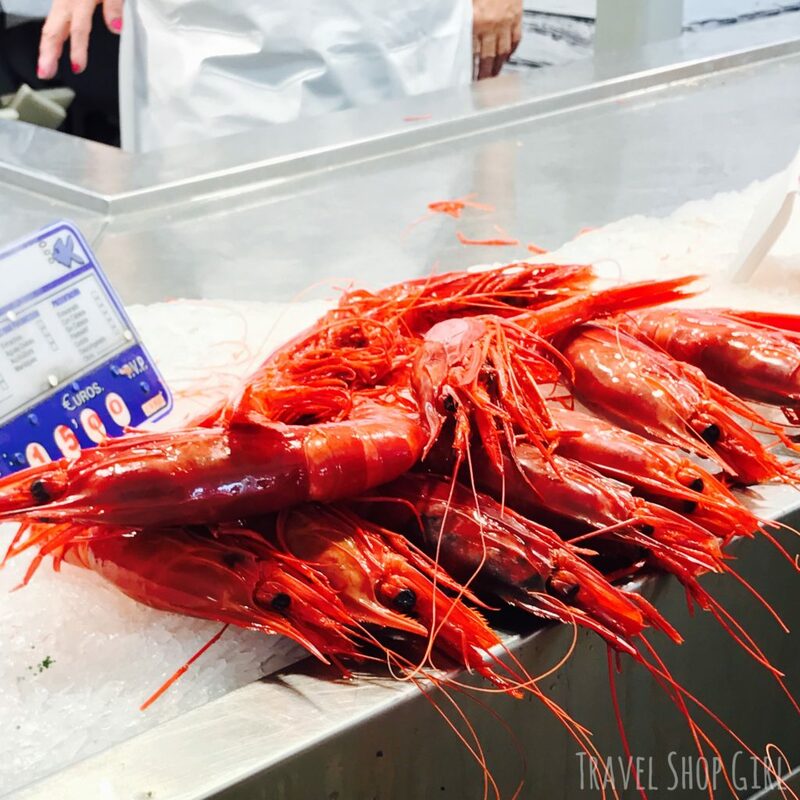 One of the most desirable items in this area are the world-famous carabineros or red prawns, which are bright red, large, and apparently sweet, robust, and lobster-like. 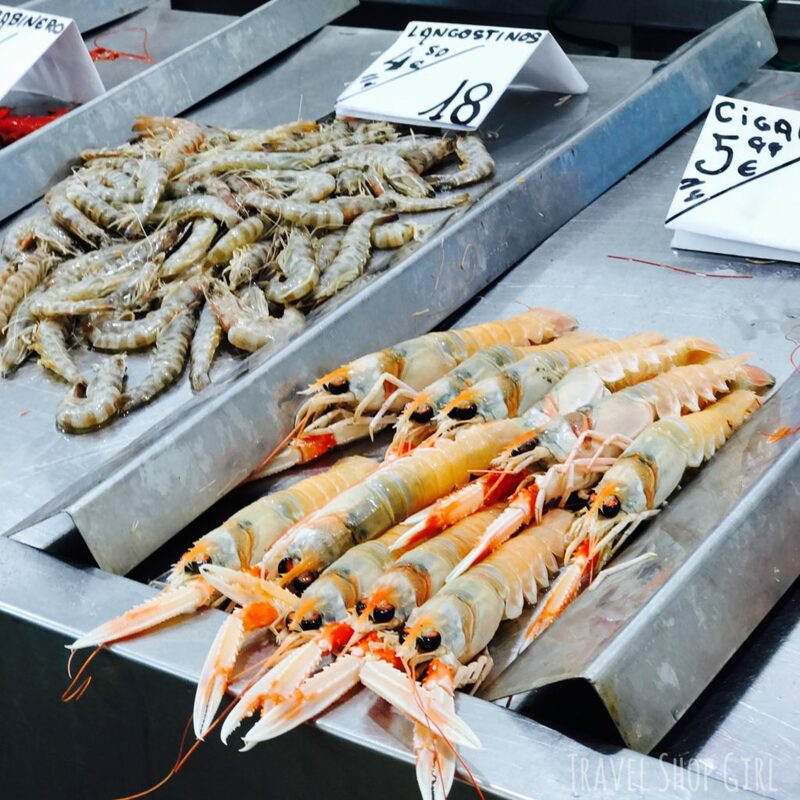 Even if you’re passing through Cádiz for only a few hours while on a cruise, definitely make your way over to the central market to see all of what is for sale including fruits, vegetables, and of course, lots of seafood. 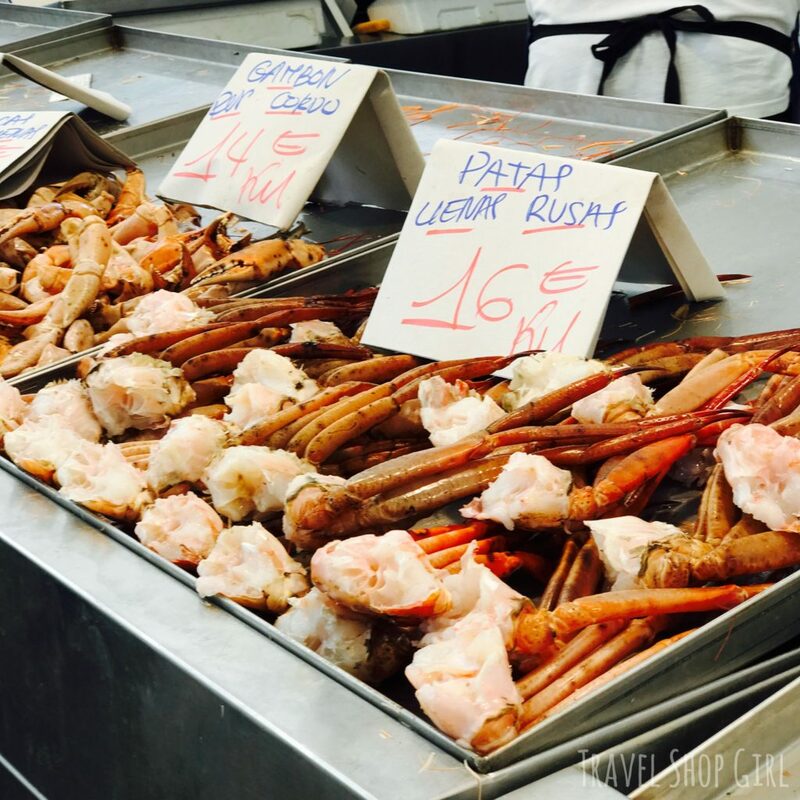 You can buy some already prepared and enjoy a quick seafood lunch before heading off to new ports of call. 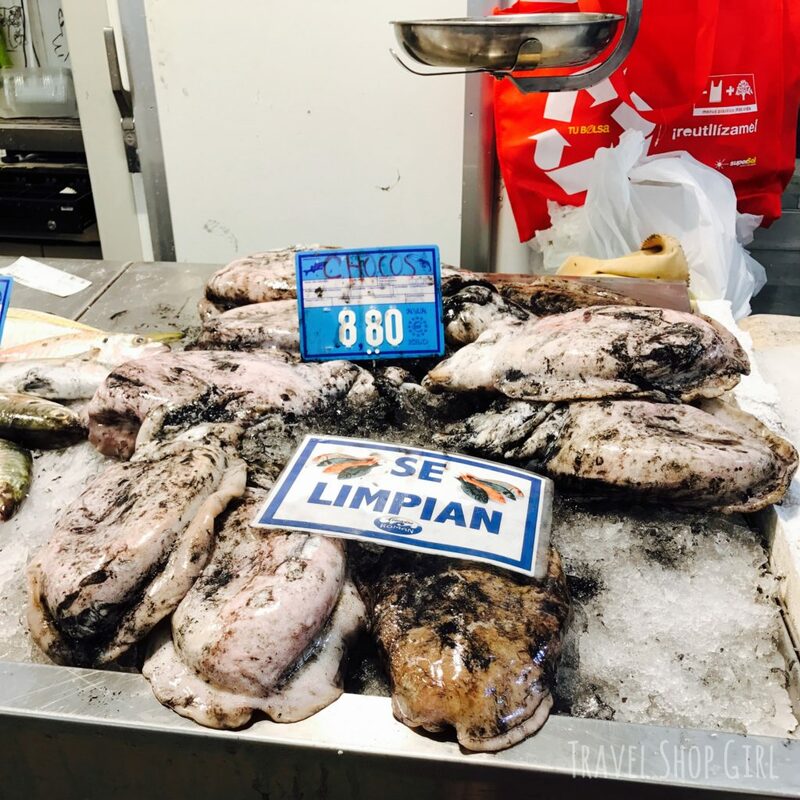 After visiting the Central Market, pay a visit nearby to Plaza de las Flores. 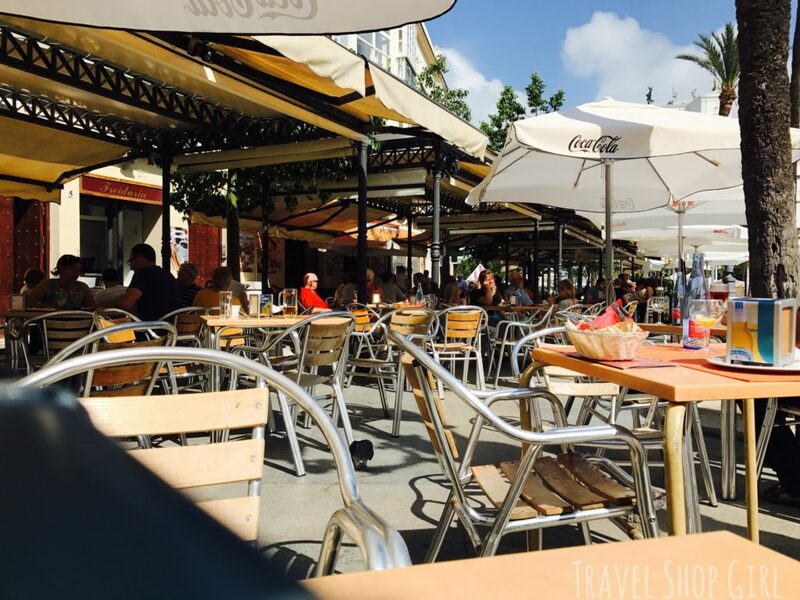 This busy plaza is an interesting spot to visit while in Cádiz for its many shops and restaurants. Freiduria Las Flores is one of these restaurants and it’s been open and serving some of the best fried fish in Cádiz for more than 100 years. After walking all over Cádiz, we were soon back at Plaza de San Juan de Dios where we decided to stop at El Sardinero. We grabbed a table overlooking the plaza, which was a perfect place to sit and people watch with a quick drink before going back on the ship. You didn’t think I’d visit Spain and not enjoy a glass of Sangria while sitting at an outside café, did you? I’m not much of a wine drinker, but I’ll gladly enjoy a Sangria while in Spain. All guests needed to be back onboard Balmoral by 5:30 pm and so after our drinks we only need to walk the short ten minutes to get back to the ship. 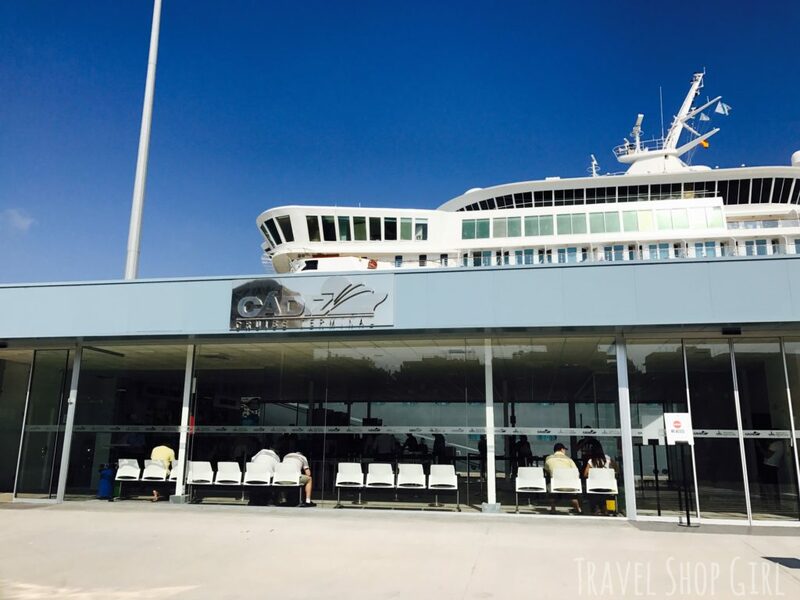 In addition to the typical shops, maps, and other things you might find in a cruise terminal, Cádiz Cruise Terminal has free WiFi, too. In addition to three cruise ships, there were also a number of ferries docked in the port that day. 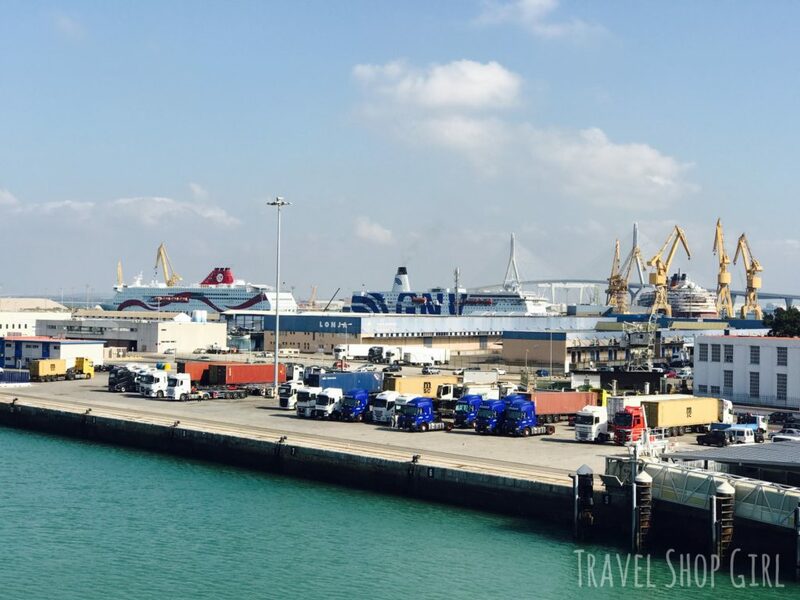 TSG Tip: Did you can take a ferry from Cádiz to the Canary Islands or a number of other ports in Spain? 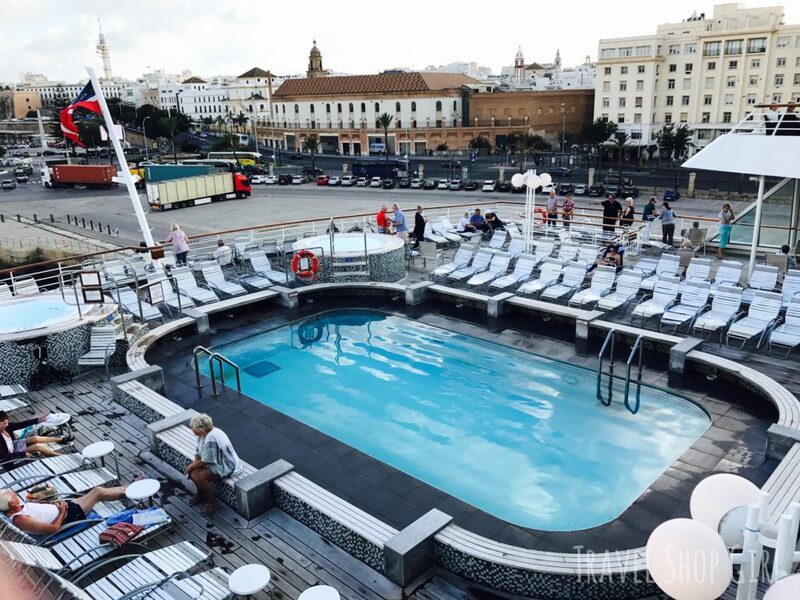 Upon returning to the ship we made our way up to the Lido Bar to take in the view overlooking the pool below before sailaway. It didn’t hurt that our favorite server, Apple from Thailand, was there to make us smile and bring me a bright, fruity cocktail. She’s trying to hide, but we know it’s you Apple. 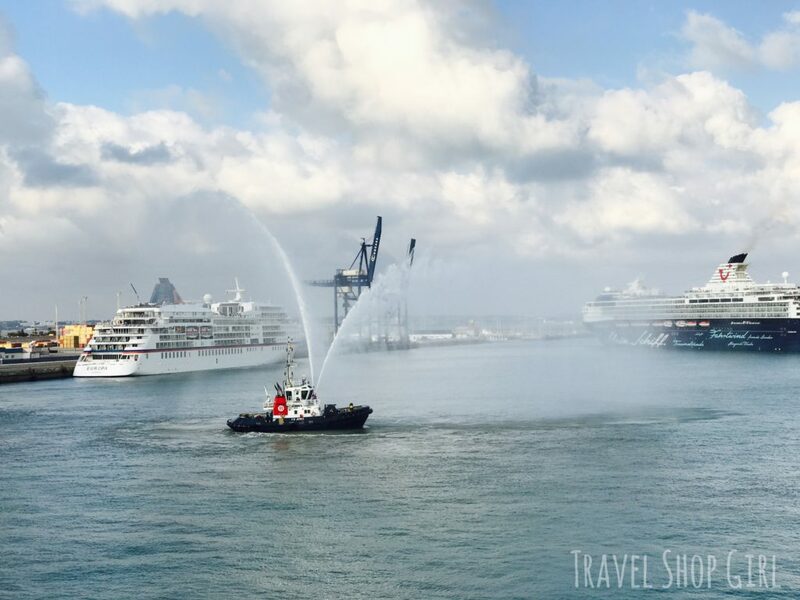 As Tui Mein Schiff 1 was preparing to leave port, we watched this tugboat perform a water salute, which is common upon the arrival or departure of certain vessels leaving port. Soon it was our turn and it was time for Balmoral to leave port around 6pm. We then set sail into the night cruising toward Málaga, Spain. 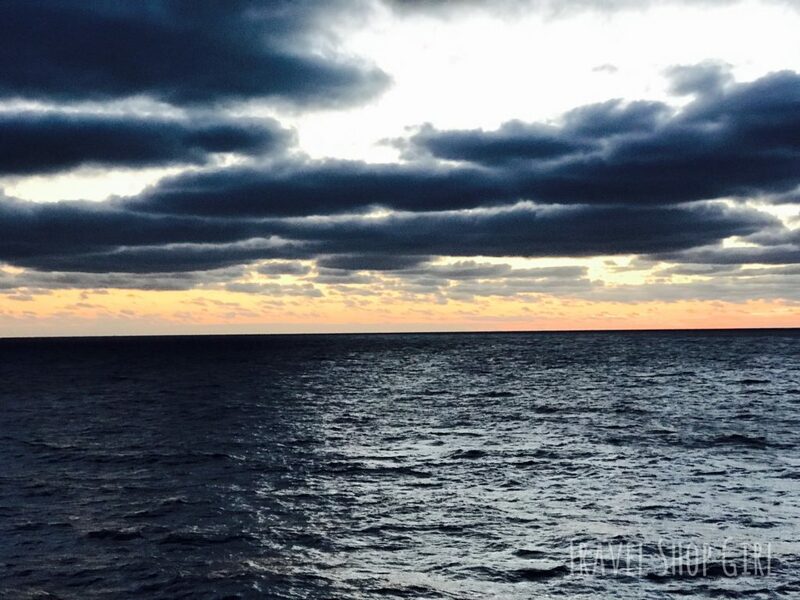 Nothing is better than a sunset at sea except when you know that you’re going to experience many more before regretfully returning to dry land. The next time you’re sailing the ocean blue like Columbus in search of new ports, make sure that Cádiz is on your itinerary. Up next we’ll be in Málaga, Spain, another great port during my 14-night cruise on Balmoral. 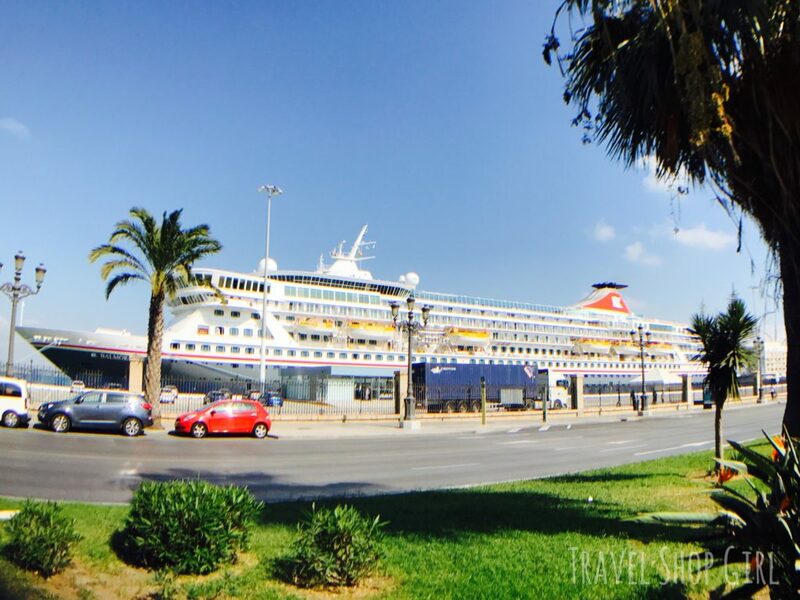 Have you ever been on a cruise to Spain?